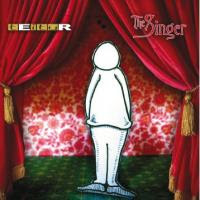 One of my favourite artists Teitur is releasing a new cd called "The Singer" on February 11th in Scandinavia with other territories to follow in March and April (at one point the working title of the album was "Laughter in an Empty Room"). You will be able to hear the songs on the Teitur website and his MySpace page from February 11th. 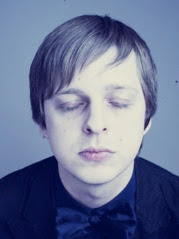 Teitur will also be touring with a full band from 14th February until the end of May around the world (some dates are already listed on his MySpace page). Teitur writes a bit about the songs on his bin website, where you can also watch a movie shot in Fridhem on the outskirts of Visby in Gotland during the recording sessions. One of the songs on the album - "Stop Wasting My Time" was co-written with another favourite singer/songwriter of mine Nik Kershaw. "This album was made in tranquility and isolation. The result is a very natural and somehow nordic sounding record. A producer friend of mine told me this album is “heart and mind” music more than “body and soul” music and maybe he has a point. There are very few syncopations in the music and the setting is minimalist and dramatical with vast colours and large empty landscapes. Furthermore it has similarities to a musical or a book of short stories." 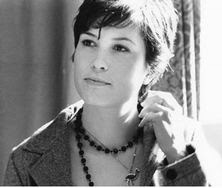 Missy Higgins is a young Australian singer that I've heard things about over the last few years but never fully checked her music out. 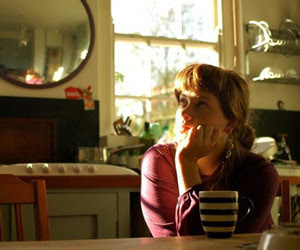 Her first album 'The Sound Of White' was released back in 2004 and she has a new album titled 'On A Clear Night' is due out in the U.S. on February 26th. I quite like the song 'Where I Stood' (MP3 up for 1 week) from her new album, it has appeared on several U.S. television shows recently. She is playing Vancouver in February so I may go to the show. The ABC website now says their new cd "Traffic" will be out in March, it had previously listed February 4th as the release date in the U.K. If anyone is going to Martin's shows in Ontario in late February/early March please let me know, would like to hear about how they go and if any of them are filmed. Green Gartside is busy working on the follow up to Scritti Politti's last album "White Bread Black Beer", as well as working with Alexis Taylor from Hot Chip on a collabrative project. No word on whether or not David Gamson and Fred Maher are involved as was alluded to in the past that they would all reunite on the next Scritti album. If anyone out there happens to be in contact with Viv Tayler (Vivienne Tayler) in the U.K. (she may now have a different last name) who ran TeeFax in the 80's let me know, I hope she is well and enjoying life. 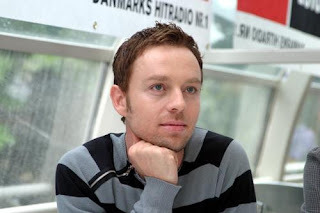 Darren Hayes new video for the song "Casey" from his cd "This Delicate Thing We've Made" cd can be seen on You Tube. The bad news posted on his website and MySpace pages today is that the upcoming tour plans for North America are off. He will be releasing The TimeMachine Tour show on DVD eventually so fans will have that to enjoy. I saw his warm up tour date in Toronto but was hoping to see the full concert production gig like he did in the U.K. .
You should definitely check out the song "Tell Me How You Really Feel" by Baltimore band The Hint. You can listen to the track on their MySpace page. 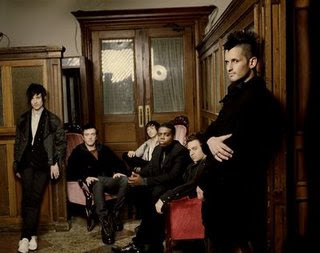 It comes from their new cd "They Can't Stop Us Now' that is due out on February 14th, 2008. Reminds me a bit of Hellogoodbye, nice rock/new wave sound. Well U.K. buzz girl of the moment Adele's cd "19" has leaked and it is generally a good listen. Of course it contains the current U.K. hit "Chasing Pavements" which is a highlight, and I quite like the song "Cold Shoulder" and "Tired" is a fun track as well. I'm started to get concerned about what appears to be the absolute lack of promotion for the forthcoming ABC album titled "Traffic". The ABC website mentions that it is due out in the U.K. on February 4th but I've yet to find a website that is selling the cd (or taking pre-orders). I recently emailed their management and never heard back. I don't know what label is releasing the cd or if Martin is pressing it up by himself. I remember speaking to the guy selling the merchandise at ABC's Toronto gig back in 2006 and he said they were waiting to try and get it released on a major label so it would be promoted properly, that doesn't appear to be the case. I'm really enjoying the Tigercity track "Powerstripe" (from their EP "Pretend Not To Love") mentioned on lots of blogs recently, a great 80's feel, and the vocalist at times sounds like Gerald Eaton from the Canadian band "The Philosopher Kings". Also liking the "Ghosts" cd "The World Is Outside" and the song "Dark Blue" by "Jack's Mannequin". You can check out the video for the song here. You have no doubt heard the song "Pictures Of You" (video) by "The Last Goodnight". I checked out their entire cd "Poison Kiss" and it is actually very good. They definitely have a Maroon 5/Blue October vibe, but on the song "Back Where We Belong " they remind me a lot of "The Feeling" out of the U.K. (MP3 up for one week, or check it out on their MySpace page). Speaking of "The Feeling", they have a new look to their website and the release date for their new cd "Join With Us" nears in the U.K. (and will be released as a 2 cd limited edition version also). The bad news is that the album doesn't appear to be getting a North American release at the same time as the U.K. If the cd ends up not getting released in North America that will probably mean the chances of fans getting to see them in concert again over here is slim. I'm glad I was at their gig opening for The Fray in Toronto and that I got to meet them when I did as I may never have the chance again. I've always enjoyed Matt Nathanson's work (he puts on a great live show) and like the song "All We Are" from his new album "Some Mad Hope", worth checking out. Click here to see Matt perform the song acoustically at a Borders store. 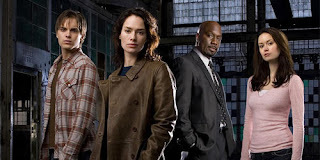 As far as the television landscape goes, I'm enjoying the "Terminator: The Sarah Connor Chronicles" series, "Prison Break" is back as is "October Road", and we got two episodes of the quirky and fun "Chuck" this week, and looking forward to "Jericho" returning on February 12th. I may also check out "LOST" when it returns next week but I'm not sure if I will enjoy another season of it. I checked out the premiere episodes of two AMC shows last week, the Golden Globe winning "Mad Men" and the new series "Breaking Bad". To be honest neither of the shows grabbed me, I'll give them a few more episodes before I throw in the towel on them (it was nice though to see Northern Expsoure's John Cullum back on the small screen in Mad Men). I unfortunately saw a few minutes of what has to be the worst game show ever "The Moment Of Truth" on FOX this week, change the channel if it comes on your television screen. Imogen Heap has her first video blog for 2008 (number 18 and her first in HD) out which you can view here. She mentions one of the song titles from the next album will be called "Bad Body Double", and talks about her Christmas and New Year and her upcoming two weeks of jury service and we hear about (and somewhat witness) her budding pyromania. 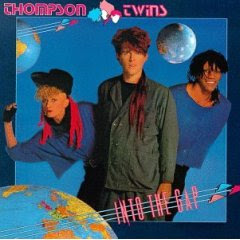 FINALLY - THOMPSON TWINS CLASSIC ALBUM'S REISSUED PROPERLY! 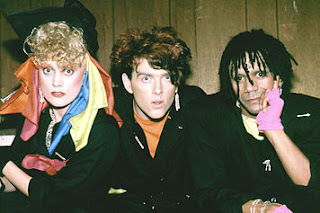 I just heard that Demon Music Group in the U.K. have plans on reissuing two classic albums by The Thompson Twins - Quick Step & Side Kick and Into The Gap on March 3rd, 2008 through their Edsel label. These are going to be 2 cd Deluxe editions with lots of remixes and bonus tracks. Full release sheet information for both releases listed below. As the band and these albums were huge for me I will definitely be picking these reissues up. I wonder who the 'fan' is that they've included memorabilia from in the booklets, they never called me! Side Kick", which peaked at # 2 in February 1983. Your Side" (also a US chart hit), "We Are Detective"and "Watching"
different 12" mixes and non-album b-sides. time. All this adds up to 130 minutes of "Quick Step & Side Kick"! memorabilia from a fan's extensive collection. extended 12" mixes and non-album b-sides. the first time. All this adds up to 143 minutes of "Into The Gap"! 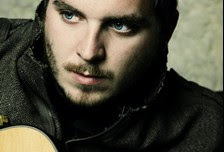 A friend recommended I check out Thrice's lead singer Dustin Kensrue's new album 'Please Come Home' and I'm glad I did. He's a singer songwriter often compared to Ryan Adams but also at times sounds like David Gray or David Ford. Key tracks are Pistol and I Knew You Before (check his MySpace page to listen to some tracks). I also came across Dustin doing a cover of fave Imogen Heap's Hide And Seek on YouTube, worth checking out. Sorry for the lack of posts, I was away for Christmas holidays and before that I was also pondering whether or not I should continue the blog as with no recent comments I doubt many people are reading it anyway. If I can get some extra time to make more frequent and hopefully interesting posts I will and hope people find the blog. 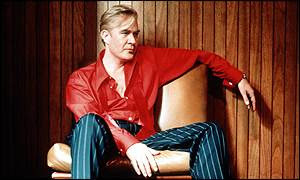 ABC (Martin Fry) is releasing the band's new album Traffic on February 4th in the U.K. with other countries to follow. The first single "The Very First Time' can be heard on the band's MySpace page and sounds great with many classic ABC strings in the mix. This shouldn't be surprising due to the fact that Gary Langan (who worked on The Lexicon of Love and Beauty Stab) produced the new record. The most intriguing note on the website is a live dates listing - February/March, 2008 Canada. I saw them in Toronto back in 2006 and they put on a great show. 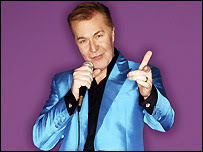 Feb 29th and March 1st Martin Fry will be appearing with an Orchestra performing ABC’s greatest hits in Ontario, Canada. Location: Centennial Hall, London, Ontario with the Orchestra London Canada. March 5th and 6th the show moves to Kitchener, Canada. Location: Centre In The Square, Kitchener, Ontario with the Kitchener Waterloo Symphony.